Take our free online smile assessment to find out if you're a candidate today. If you’re looking for an orthodontist in the Huntington area of Long Island, you need look no further than Gellerman Orthodontics. Dr. Inna Gellerman specializes in creating spectacular smiles through state-of-the-art orthodontic care. Dr. Gellerman uses the latest diagnostic technology and treatment methods available to devise the most accurate treatment plan possible. What does it mean to you? 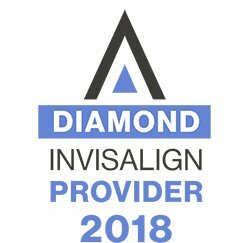 Top 1% Invisalign® provider experience. Have you been told Invisalign won’t work for you? Come in for a second opinion, it’s FREE. Faster treatments to reduce time in braces by as much as 30% (SureSmile®, AcceleDent® Aura and PROPEL® Orthodontics). You don’t have to suffer with an overbite, an underbite, tooth gaps, or overlapping teeth. Let us help you!!! Our Huntington orthodontic office is open during the week, late evenings and Saturdays. In an emergency, we will open our doors just for you. Ask our patients – they know that we work hard to make visiting the orthodontist as easy and stress-free as possible! Please contact our Huntington office to schedule your FREE consultation today! Call us 631-427-8444 or fill out an appointment request form.